Local golf pros share their picks for Masters glory – or heartache. Every April any number of storylines unfolds at the Masters Tournament, and this year will be no different. Rory McIlroy still needs a green jacket to achieve a career grand slam. Once again Dustin Johnson is poised to arrive in Augusta in elite form and at the top of the Official World Golf Ranking. And a pivotal hole on Sunday afternoon is bound to swing the outcome of the event. We asked local golf professionals to give us their fearless predictions for this year’s tournament, and they were happy to oblige. But there’s only one thing we all know for sure – the Masters will not disappoint. 2019 Masters Champion: Rory McIlroy. He’s been playing great so far this year, and I think he’s due to win. Dark Horse: Xander Schauffele. He’bs been playing great, and I think he’s going to have a good year. 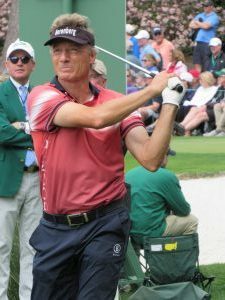 Low Senior: Bernhard Langer. It’s hard to not pick him. 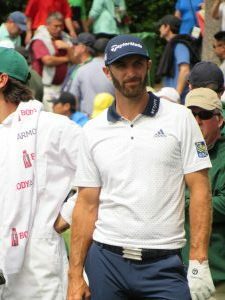 2019 Masters Champion: You gotta take DJ (Dustin Johnson). He’s having a great year, and he’s off to a great start. Dark Horse: Rickie Fowler. Is he a dark horse? Low Senior: I’ll take Vijay Singh. Pivotal Hole: Let’s say No. 11. 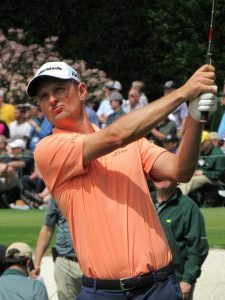 2019 Masters Champion: Justin Rose. He’s good, and he’s played well there so many years in a row. Dark Horse: Tiger. He knows how to play there, and he’s hitting the ball well. It’s just a matter of time before he puts four rounds together. Low Senior: I’m going with Bernhard Langer. It’s hard not to take him. Highest-Ranked Player to Miss the Cut: It’s hard to pick any of those guys, but I’ll go with Jon Rahm. Pivotal Hole: It’s always, to me, No. 13. 2019 Masters Champion: Dustin Johnson. He’s playing well. Dark Horse: Phil Mickelson. He’s been playing well, too. Pivotal Hole: It’s gotta be 15. What’s great about the course is it could 13, 15 or 16. 2019 Masters Champion: I’m going to say Rory McIlroy. He’s doing better, so he’s picking up his game. He should be in prime form for the Masters. Dark Horse: Let’s say Jon Rahm. I think he has a chance of winning it. Low Newcomer: Let’s go with Adam Long. That’s the only name I recognize out of them. Low Senior: I’m going to say Bernard Langer again. He seems to be consistent at the Masters. 2019 Masters Champion: Dustin Johnson. It’s his time, and he has the length to take advantage of the par 5s. Dark Horse: Haotong Li. He has an exellent all-around game, and he’s very under-rated. Low Senior: It’s going to be Fred Couples. Highest-Ranked Player to Miss the Cut: I won’t go on the rankings, but I’ll say Patrick Reed. Pivotal Hole: It’s going to be No. 12. 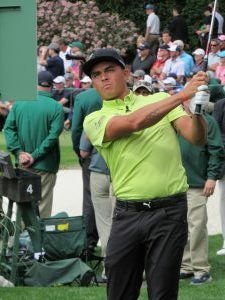 Published on March 26, 2019 in Guide to The Masters and tagged front by Kristy Johnson.